Located roughly 200 kilometres south of Perth in Western Australia’s beautiful south-west region, Busselton is one of the state’s most popular tourist destinations. The stunning beaches, the beautiful Busselton Jetty (the longest pier in the southern hemisphere) and its seasonal humpback whale populations are all major drawcards. However, booming tourism industry aside, Busselton is a thriving town with a population that increased by 2.8 percent (998 people) in the 2015-16 period. Thanks to its increasing population and healthy tourism industry, business activity in Busselton is also on the rise. In 2016, the region’s gross regional product (GRP) increased by 1.7 percent, while average industry turnover rose by 2.1 percent, according to the City of Busselton’s Economic and Demographic Profile 2016. By 2026, it’s estimated Busselton will be home to a resident population of 50,750, with future major projects expected to propel the region’s economic and community growth further. Annual wages in Busselton have also been on the up, with people from all industries taking home an average yearly salary of $56,364 in 2013, which was up 11.1 percent from 2012. This wage increase coincides with the suburb’s annual economic growth of 1.7 percent in 2015. However, over the last five years, the yearly economic growth measured much higher at an average of four percent. Education and training, manufacturing and administration, and support services were among the best performing industries in Busselton, as well as construction and agricultural sectors. Although, it’s worth noting that retail trade, accommodation and food services and financial and insurance services contributed the most to Busselton’s GRP in the 2014-15 period. In this same period, the City of Busselton also recorded higher industry productivity than Western Australia as a whole across every sector, except for agriculture, forestry and fishing, and arts and recreation. The business climate in Busselton has also shown signs of improvement, with the number of actively trading businesses rising by 1.3 percent in 2014-15, with the average business turnover increasing by 2.1 percent to $432,900 and a total local turnover of $1.6 billion. 5.8 percent of businesses in the region recorded turnover over $2 million, while 18.7 percent of companies had a turnover of $200,000 to $499,999. Adding to the value of the region is its growing number of world-class events, which are driving further economic activity and attracting more visitors. 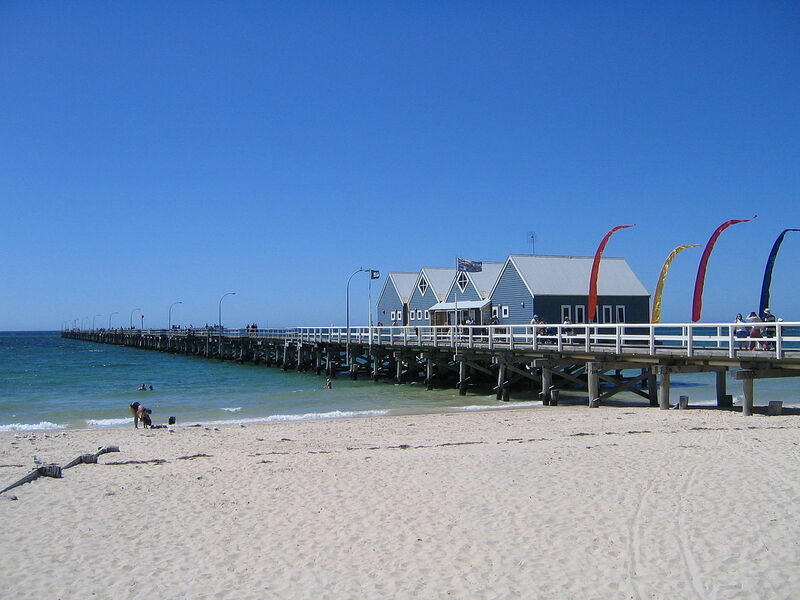 Over the course of any given year, the City of Busselton is host to music, surfing, athletics, arts, sailing, food and wine, and cultural events. Finally, new infrastructure, such as the new hospital that opened in 2015 and the civic and administration building that opened in 2017 are contributing to rising populations and the region’s economy booms. Transport access, property development and recreation and leisure facilities have also been upgraded or are in the process of undergoing improvements, among others. Each of these projects not only drives extra jobs but also makes Busselton a great place to live and work. Over the last five years – and based on projections until 2026 – all signs point towards Busselton being a great place to settle down and buy a business. The housing market is affordable, with a median house price of $570,000, and there are plenty of good local schools and infrastructure developments. Each of these factors makes it a family-friendly neighbourhood that has been relatively unaffected by Western Australia’s recent economic slump. Want to learn more about buying a business in Busselton, or even what companies there are for sale? Talk to the team at Performance Business Sales today! Our business brokers can help make your dream of business ownership in Busselton a reality. Our commitment to maintaining a reputation for excellence underpins every decision we make.